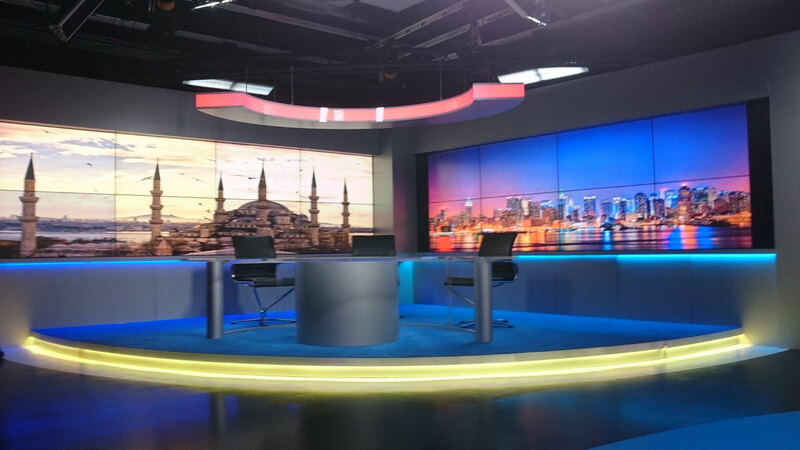 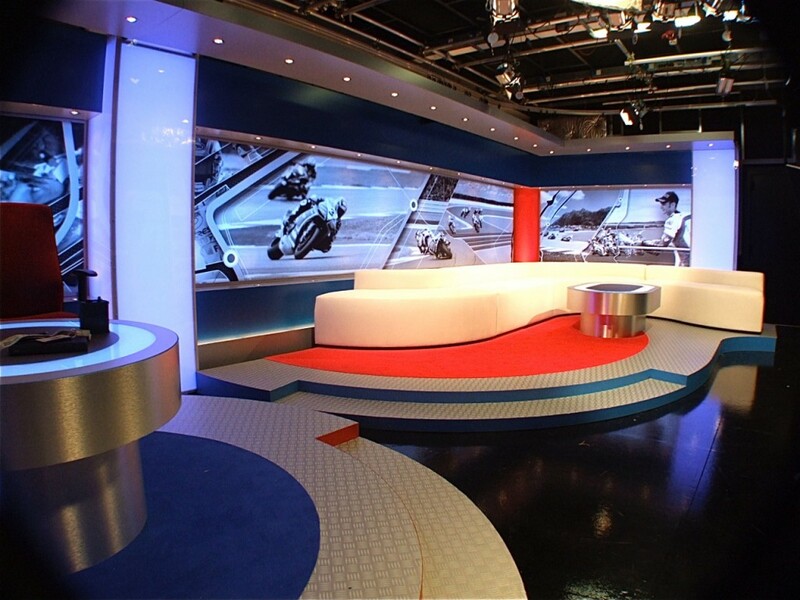 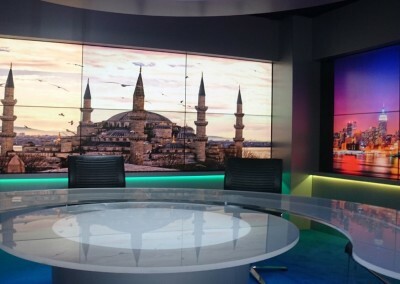 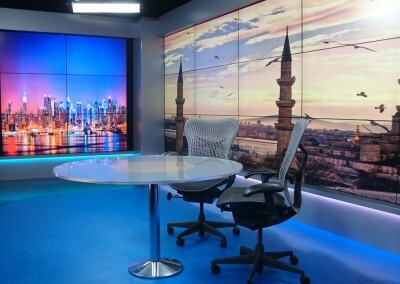 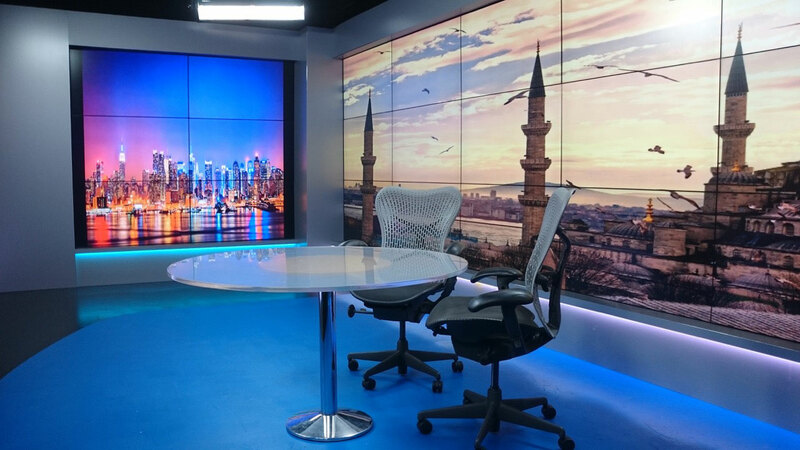 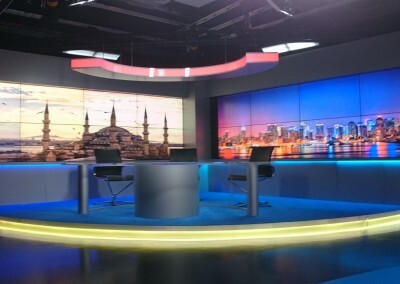 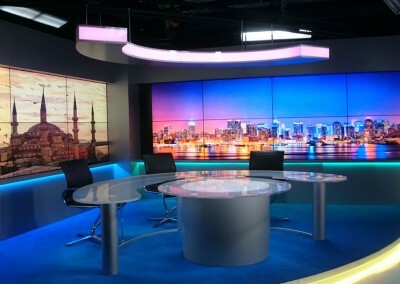 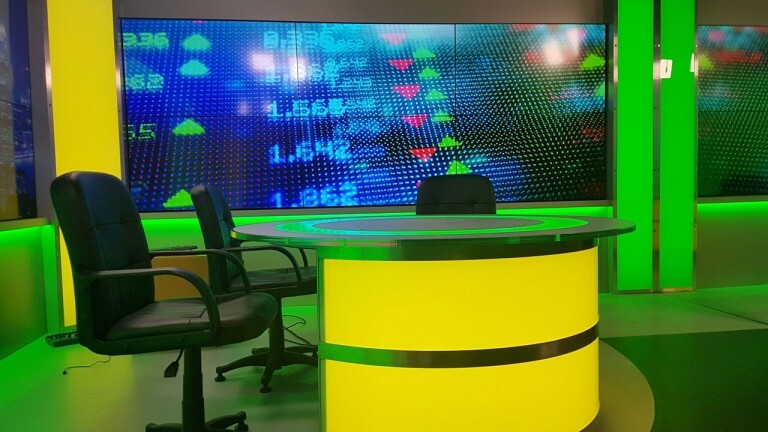 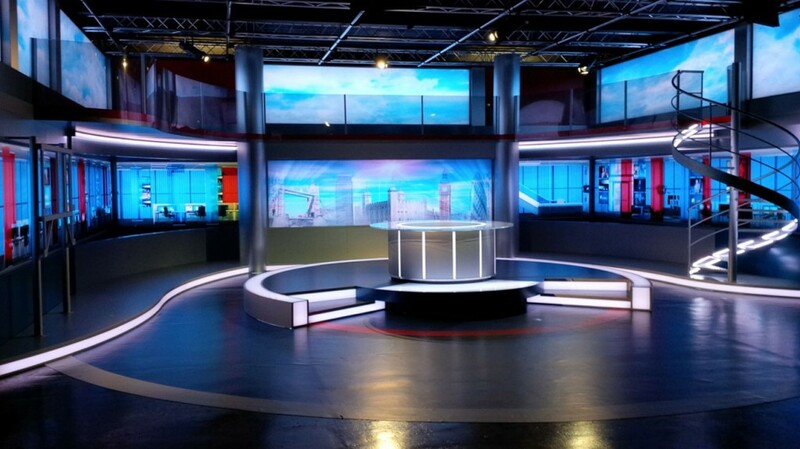 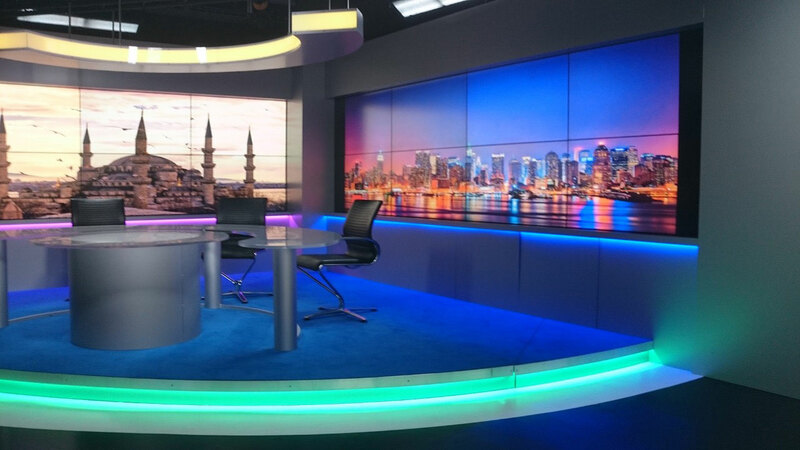 ECD have just completed a new studio set design and build for our new clients AL-HIWAR TV London. 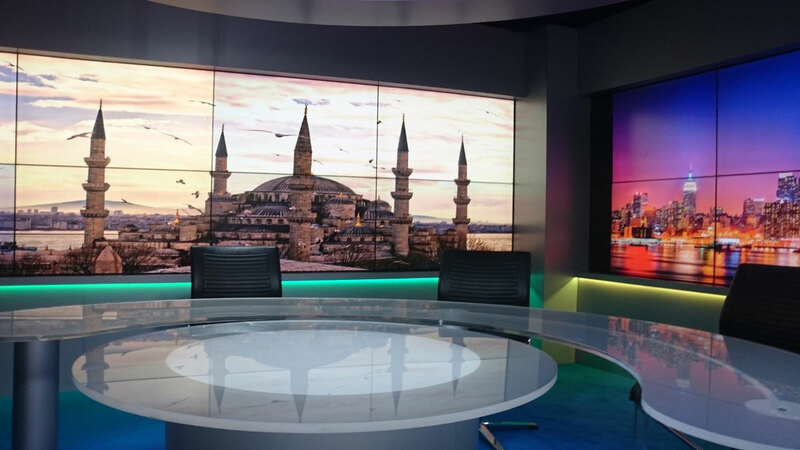 AL-HIWAR required a set that would be able to house news and current affairs with the ability to adjust the set backings quickly. 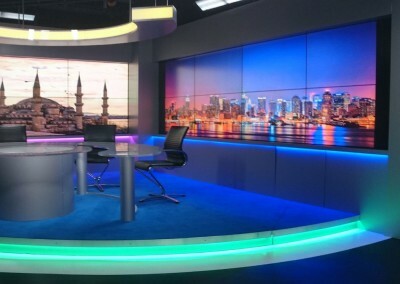 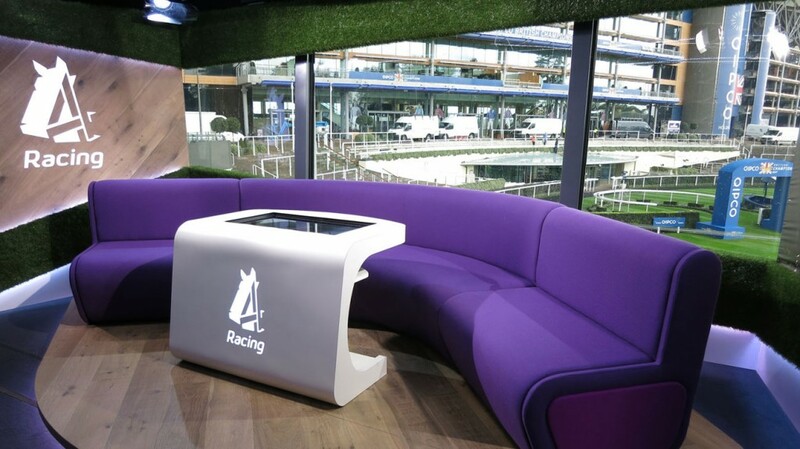 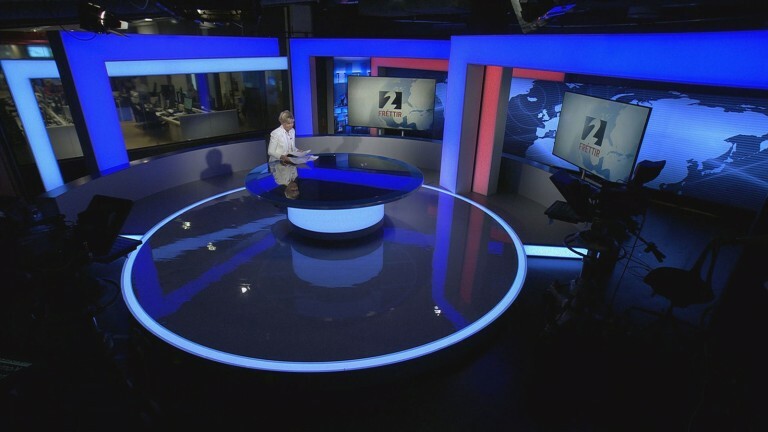 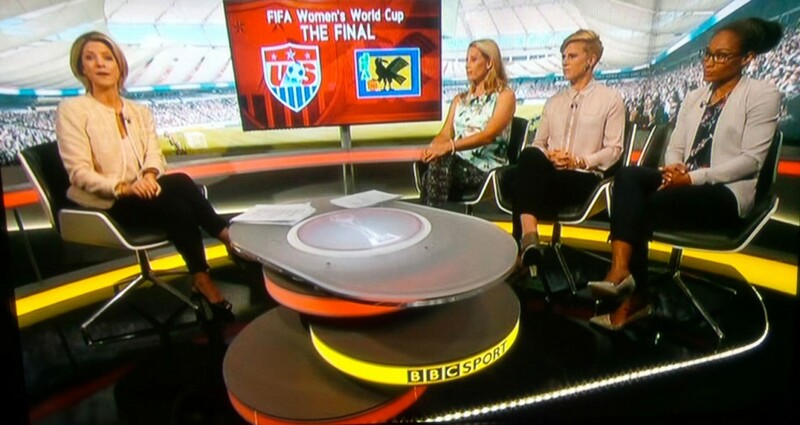 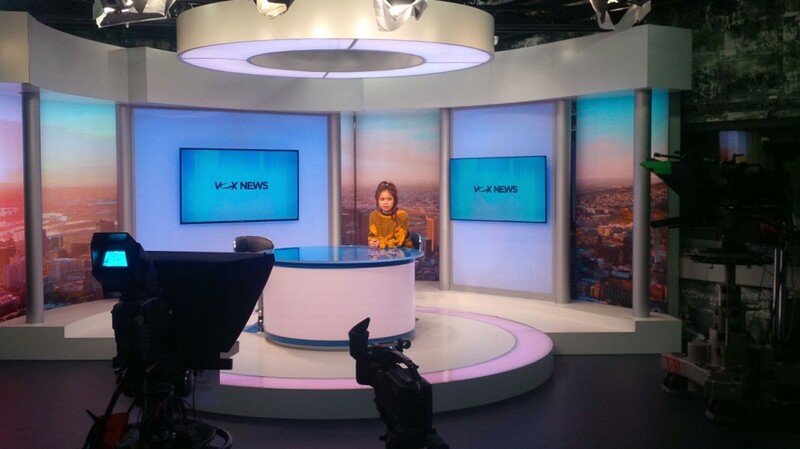 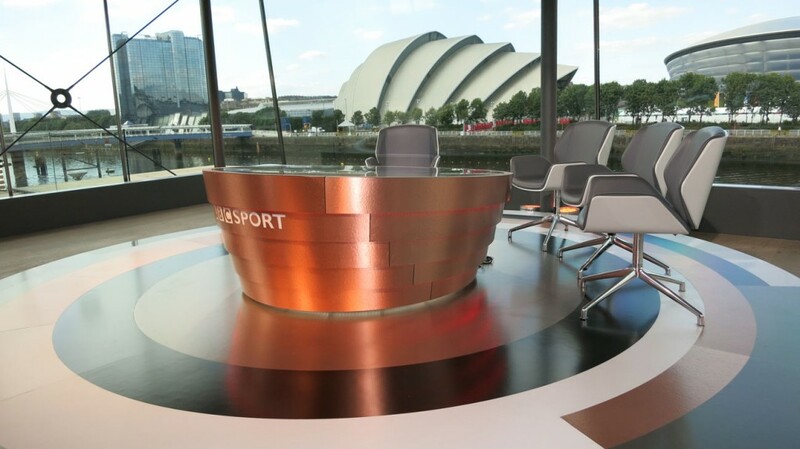 The set has been designed with two areas of main news presentation desk and a secondary meeting and interview table area. 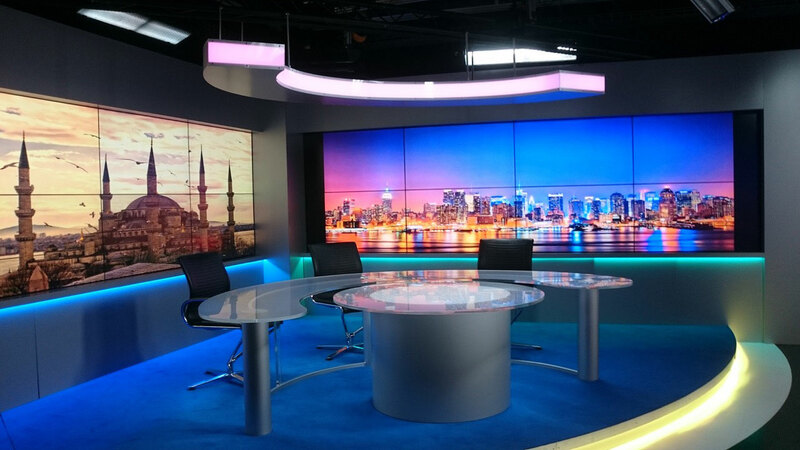 We have designed a set that incorporates a minimal bezel edge screen arrangement. 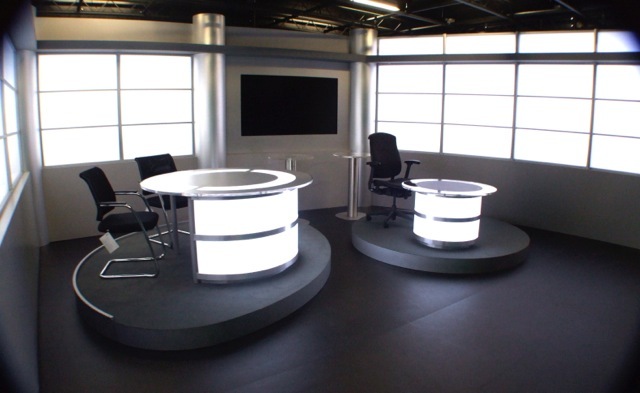 These screens are flush mounted and can be serviced from the front. 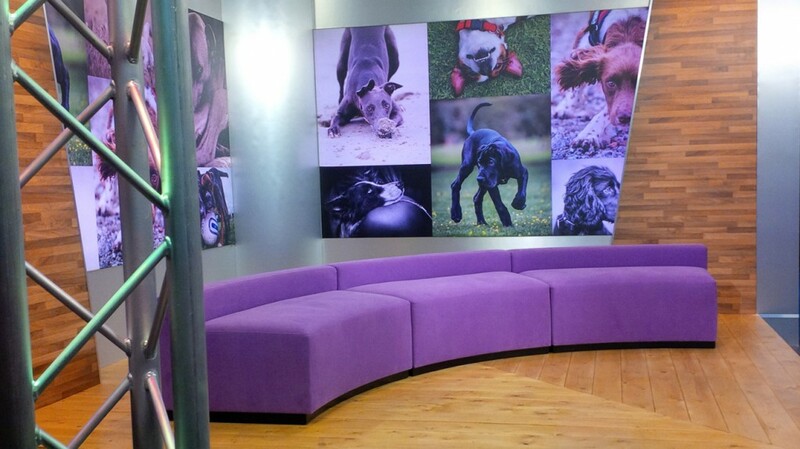 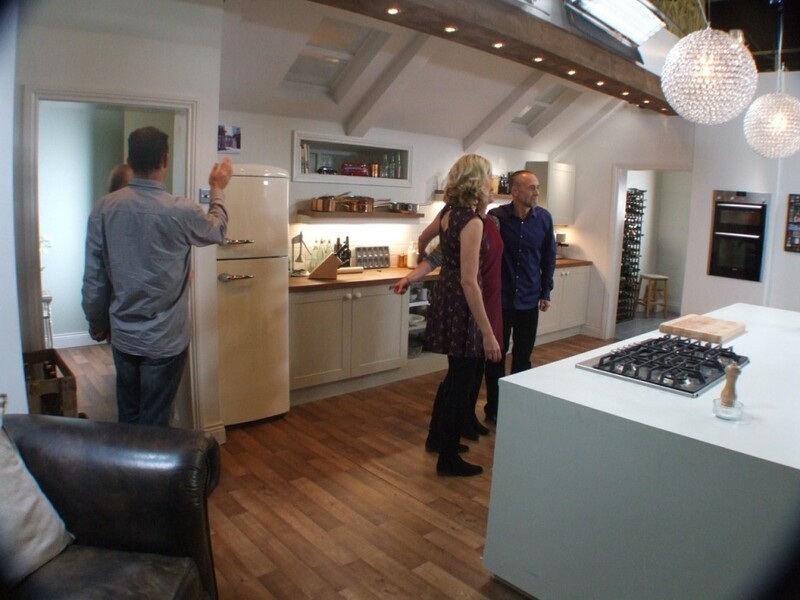 This is a solution that has allowed the set to be positioned flush to the studio walls. 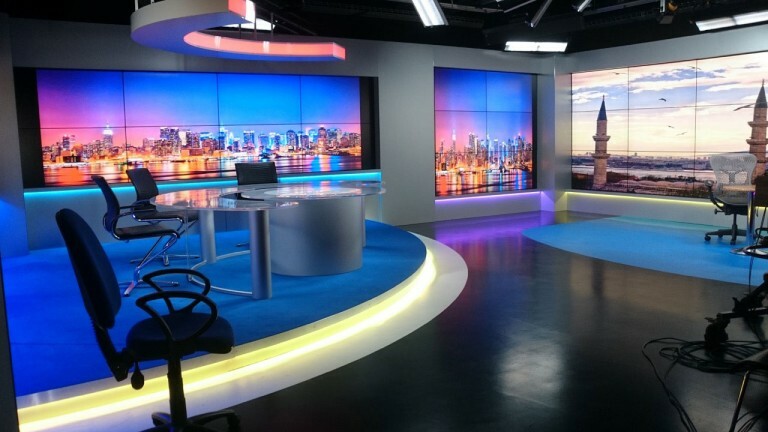 allowing for a bigger and more usable studio space. 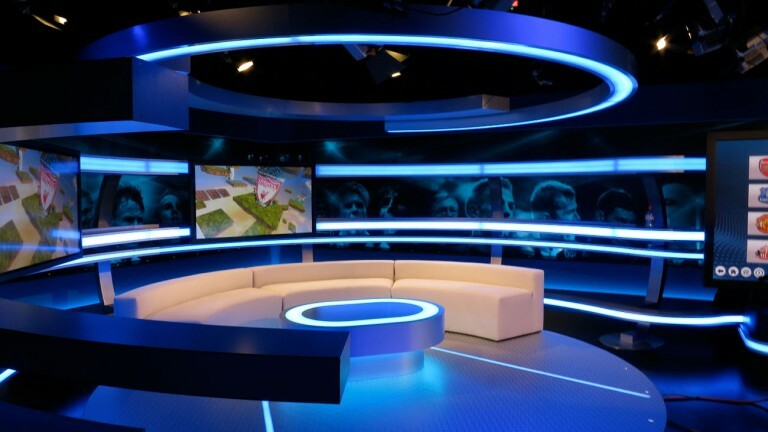 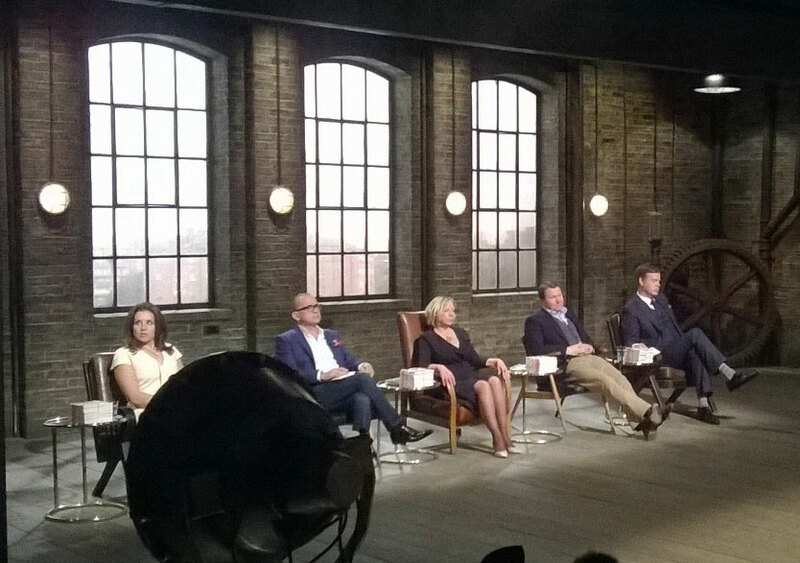 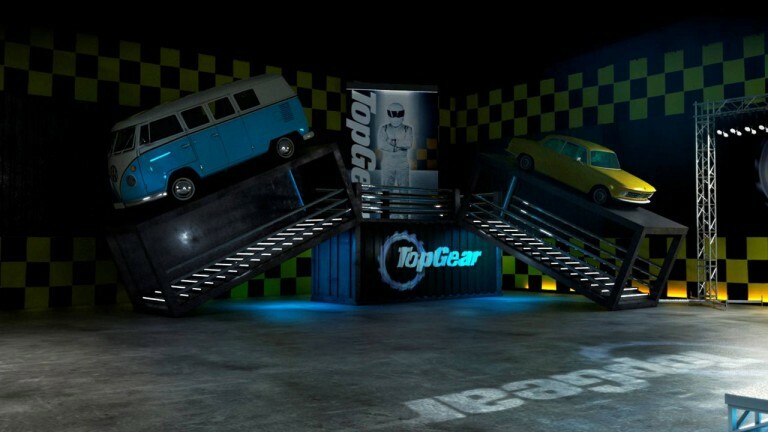 The set is also completed to allow for a quick lighting/mood change, with LED’s positioned in various positions around the rostra and cill areas. 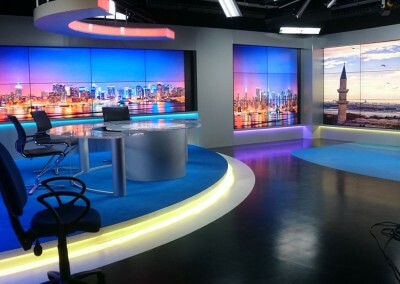 The LED’s and screens are gallery controlled and can be pre-set and adjusted at the touch of a button.